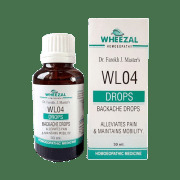 Wheezal WL04 Backache Drop is a homoeopathic solution used in maintaining mobility and alleviating pain. The product is extremely useful in curing backache caused due to trauma, infection of joints or even ageing. It is also helpful in getting rid of pain caused primarily by lumbago, arthritis of back, septic arthritis and rheumatic aches. Take ten to fifteen drops of Wheezal Wl 4 Backache Drops in 2 sips of water before every meal. To be taken four to six times daily or as prescribed by the physician. 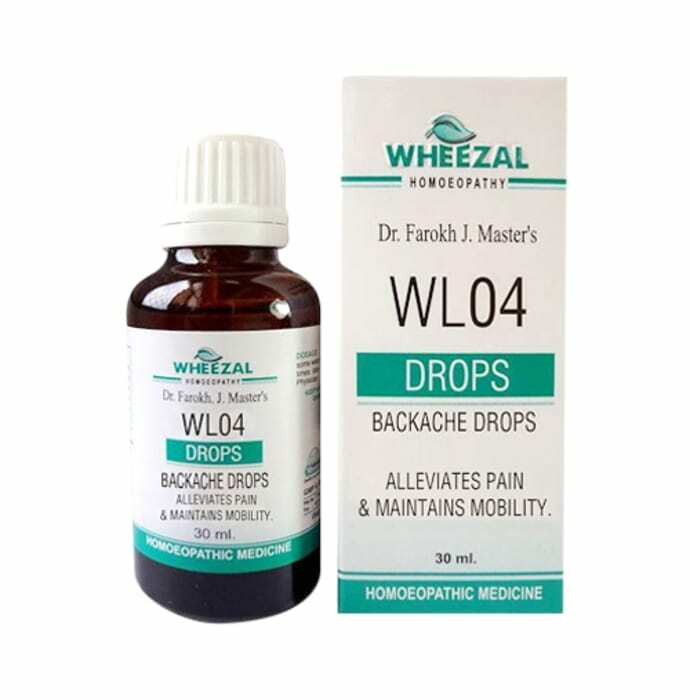 A licensed pharmacy from your nearest location will deliver Wheezal WL04 Backache Drop. Once the pharmacy accepts your order, the details of the pharmacy will be shared with you. Acceptance of your order is based on the validity of your prescription and the availability of this medicine.